Nestled in the Gulf of Thailand on the east side of the Surat Thani coastline, Koh Tao is a small, secluded island shrouded in verdant jungle and lined by intimate cays and pristine white sand beaches. This naturally stunning island’s namesake is mostly due to it once being inhabited by sea turtles – view the island from Koh Phangan and you’ll see that its shape slightly resembles a turtle, too. Koh Tao is one of the most beautiful places in the world to scuba dive, so much so that the diving industry is always thriving. Many people come here to plunge into the vibrant reefs – both beginners and veteran divers – and they never leave disappointed. The water is continuously warm all year round, and no matter the weather, you’ll always find a peaceful spot. Look out for colourful Bluespotted stingrays skirting across the reef floor, and bright schools of Butterfly Fish and Bat Fish swimming by. Peer close enough at the coral and you may even spot a Bearded Scorpion Fish, though they’re particularly good at camouflaging. The most exciting of all has to be the whale sharks – usually swimming around Chumphon Pinnacle – and of course, the docile sea turtles. 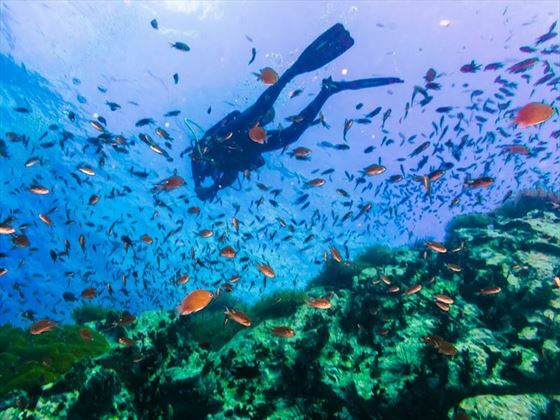 Should you wish to discover Koh Tao’s underwater world, but don’t particularly want to scuba dive, there are many shallow reefs begging to be discovered whilst snorkelling. Head to Mango Bay or Hin Wong Bay for the best snorkelling locations. A large percentage of the island is mountainous - we’re certain your jaw will drop as soon as you see the jungle-clad hills that soar up into the sky – and if the natural beauty isn’t charming enough, the island’s easy-going lifestyle will certainly entice you. The atmosphere is always chilled here, and days are spent appreciating the verdant surroundings and dining on deliciously creative fusion dishes in one of the many restaurants. Take a hike through the jungle, cool off with a dip in the water, and then venture to one of the three characterful villages to hang with the locals and grab a refreshing drink at one of the lively bars. The island is divided into three villages: Mae Heed, Sairee, and Chalok Baan Kao. 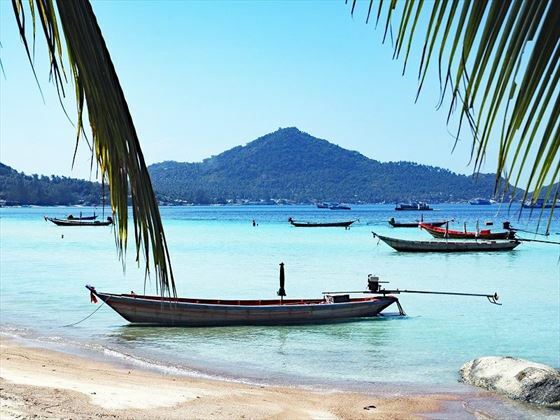 Mae Heed is the perfect place to visit should you want to immerse yourself in the local Thai lifestyle, whilst Sairee is home to the island’s most popular beach, and has great nightlife to boot. Chalok Baan Kao is smaller than the others, but still has plenty of restaurants, bars and diving sites to enjoy. The warm, crystal clear reefs are perfect for scuba diving enthusiasts, and there’s a myriad of amazing marine life to see, too. The ambience here is enviably laidback and chilled, ideal for those hoping for a tranquil island experience. Nevertheless, the island still has a thriving bar and restaurant scene should you fancy something a bit livelier. The pub crawls here are very popular. Koh Tao isn’t just for scuba divers – hikers will love exploring the luscious jungle that cloaks the island’s towering hills. The waters here are always deliciously warm – we love venturing down to the beach for a sunset swim as the day draws to a close. 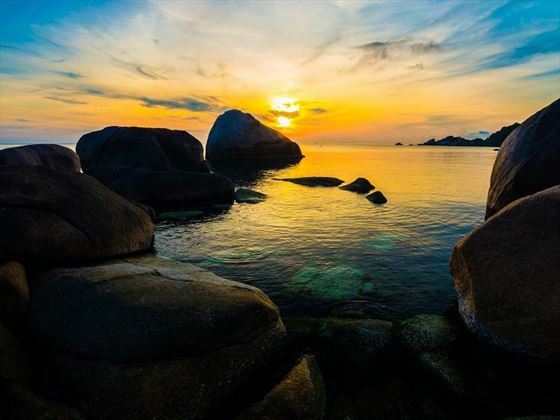 One of our favourite parts of Koh Tao is that it’s a true all-year-round destination. It’s never too cold for diving, and though monsoon season is from the end of November to the beginning on October, it only lasts a few weeks at most. October to March is the ideal time to visit should snorkelling be on your mind – this is when the tides are high and the bays are full of water. The low tides during April to September create wider beaches perfect for soaking up the sun with a cocktail in hand.